Mayor Dave Bing, along with the leaders of various non-profits, are travelling to Detroit's sister city of Turin, Italy to see what lessons they can learn from them. 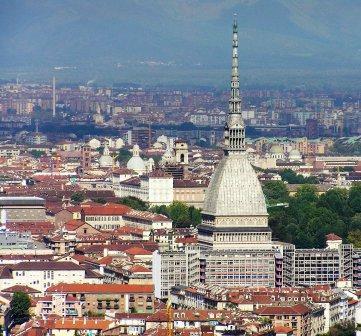 Turin, of course, is the automotive manufacturing capital of Italy. Its population and land mass are almost identical to Detroit. Torinesis face many of the same challenges that Detroiters do. There is one other interesting connection between Turin and Detroit; with the Warrendale neighborhood in particular. 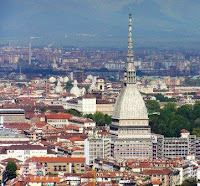 Turin is capitol of the Piedmont region in Italy. Piedmont Street in the Warrendale neighborhood was named after it. How many police officers and fire fighters do the Turin Police and Fire Departments currently employ? How often does the Turin Fire Department shut down multiple fire stations? How often does a Torinesi call their local police department, only to have their call go unanswered? What is the average response time of the Turin Police Department for those calls that do get answered? What is the average response time for ambulances and emergency medical personnel in the Turin Fire Department? Was there recently been a sudden predictable 41% spike in fires over a three day period in Turin? If the chief of the Turin Police Department managed to produce a 25% drop in homicides in that city as well as a 29% improvement in police response time - all while saving taxpayers more than $1 million in police overtime - would Mayor Chiamparino even care if his chief made a pilot for a television show? If a pair of paramedics in Turin were to point out problems that were jeopardising the health and safety of Torinesis, would Mayor Chiamparino discipline them for doing so? I am glad that Mayor Bing and others are travelling to our sister city in Italy. I firmly believe that Detroiters have much to learn from our Italian counterparts. I hope and pray that Mayor Bing and those travelling with him will take full advantage of this trip to learn all that they can to help make Detroit a better place.